Gary Walker | Pueblo, Colo. 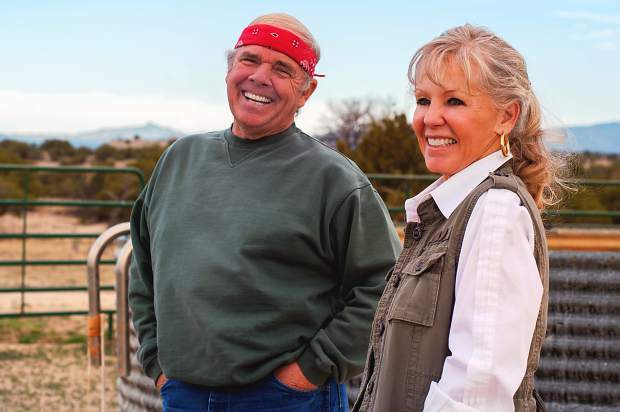 The Turkey Creek Ranch owned and operated by Gary and Georgia Walker was recently selected as the recipient of the 2014 Colorado Leopold Conservation Award. 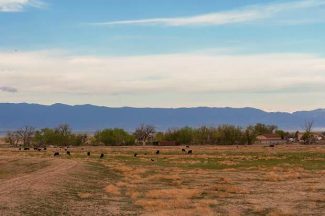 The Pueblo-based ranch consists of approximately 65,000 deeded acres and is managed for both wildlife and livestock. The acts of cattle ranching and wildlife management go hand in hand, and the life’s work of the Walkers proves it. Under an agreement with the U.S. Fish and Wildlife Service, they re-introduced Black Footed Ferrets, which were once thought to be extinct, in eastern Colorado. “The Walkers’ passion for caring for the habitat and rare plant species on their land, near a growing urban community, sets a remarkable example of conservation leadership,” said Sand County Foundation President Brent Haglund. Given in honor of renowned conservationist Aldo Leopold, the Leopold Conservation Award recognizes private landowner achievement in voluntary conservation. The Walkers will receive a crystal depicting Aldo Leopold, and $10,000 at the Colorado Cattlemen’s Association’s Protein Producer Summit on June 16 in Colorado Springs. The award recognizes private landowner achievement in voluntary conservation. 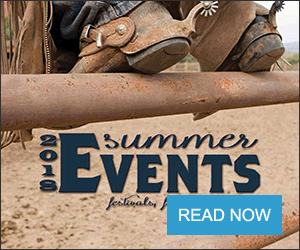 It is presented annually by Sand County Foundation, the Colorado Cattlemen’s Association, the Colorado Cattlemen’s Agricultural Land Trust, Peabody Energy, Tri-State Generation and Transmission Association, and American AgCredit. Ranching has been our primary business all my 68 years. I worked for my dad until I realized that I'd better do something on my own, or the agriculture death tax would take most of it. Georgia and I started buying small ranches in the late 1970s. In those early days, my only income was the check she brought home for teaching at District 60 in Pueblo. I also had an on-and-off income for helping dad. But our main plan was to seek out inexpensive ranches that needed a lot of cleaning up, buy and resell them. I was lucky as the banks in those days put a lot of value in the word and knowledge of a man, and would make loans based on that and not only on his assets. At one time in my life I owed millions of dollars to the bank with only a teachers income. But apparently, I knew what was a good deal and how to make a rundown ranch shine, and we survived and grew. After numerous purchases and sales, in 1992, we were able to buy my parent's Turkey Creek Ranch and the adjoining 20,000 acres of state land via a 1031 tax free exchange, funded by the sale of our last "fixer upper." Staying in character, my father priced his property to us at double the state appraisal. My dad was a great teacher and always was there for us, but his "coming up the hard way" during the Depression set his beliefs to black-and-white — a deal was a deal, and you had to do it on your own. Because I was so lucky in life and had acquired the family ranch that we so dearly loved, our buying of ranches for resale came to a close. Now, we were only interested in saving adjoining ranches from development and consolidating our holdings into one ranch. After an additional 75 purchases of adjoining properties, the Walker Family has more than doubled our holding since the 1990s. In my life time, we have run everything that grew hair. At one time my dad have 15,000 yearlings scattered over four ranches in two states. In the mid 1960s, Fort Carson expanded and condemned part of his Turkey Creek Ranch and we were plagued with military vehicles running through our boundary fences. Those young soldiers trying to learn how to drive a 30-ton tank would go through our fence, turn the tank around, and go back through but in another spot. The result was a 1/4-mile of missing fence. After a year of this, my dad said, "If you can't beat them, join them." So he bought 3,500 momma cows from the Butler Ranch and we turned them loose on our ranch. Of course, and much to our surprise (or not), they all wound up on Fort Carson. No one complained because it was the Army's training that caused the breaches, and they were too busy training troops for Vietnam to gather cattle and fix fence. An Army General I became friends with during that period said they actually liked having our cattle in the training area, because of its positive effects on the trainees. But could we please keep them off of the officers' golf course? That was one of the greatest experiences of my life. We were truly old-time cowboys during those days, with large remuda's of good horses. Up at daylight, ride north as far as your horse could take you and bring what pairs you would find home to be worked and turned loose again. Quite often we would get home in the dark, only to start again before the sun rose. I was going to college at Southern Colorado State College in Pueblo at the time, and boy, did my college rodeo team get an education those summers long ago. 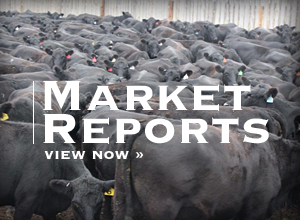 Today, we run only Black Angus cows with our largest herd in the past 14 years having been around 1,100 head in 2012. But, due to the 14 years of drought, we have sold out three times and restocked the same number of times. Our last dispersal was in the spring of 2013. We retained only 350 young cows out of the 1,100. With the rains of last August we brought our total numbers back to around 500 young cows. Of course those replacements cost about twice of what our earlier sale brought per head.